Our new Spring menu is now up and running at The Swan! Join us for some great Spring dishes, take a look at the menu here. Join us on Friday 22nd March to kick-start your weekend with Georgia Lily – Female Vocalist, on from 7.30! February Quiz and Curry Night at The Swan! Join us for curry & quiz night at The Swan on the 26th February! Teams of up to 6 people get ready. Entry is £1 for adults and 50p for children, with food offers available on the evening. Treat a loved one this Valentine’s Day at The Swan and enjoy great food from our set price menu or cosy up in the courtyard with chocolate fondue and prosecco! 2 courses for £19.50 and 3 courses for £24.50 from our Valentine’s set price menu. Chocolate fondue with marshmallows & strawberries with a bottle of prosecco £25. 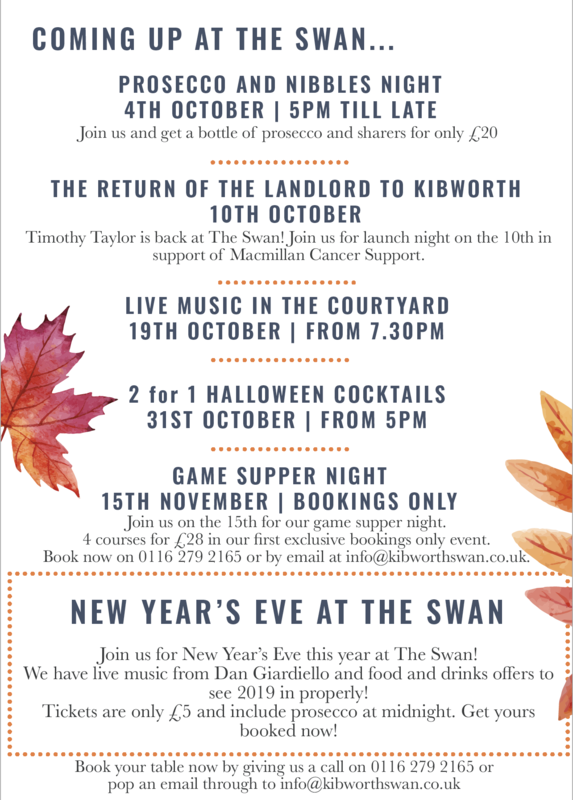 Coming up this festive season at The Swan! 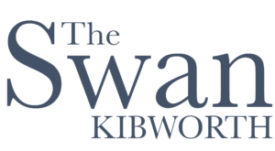 The whole team at The Swan in Kibworth would like to wish everyone a very Merry Christmas and a Happy New Year! Join us for everything from live music on New Year’s Eve through to our Alpine and jazz nights! Bookings and enquiries please get in touch by popping an email through to [email protected] or give us a call on 0116 279 2165. Have a Jazzy Christmas with Kathesis! Join us on the 22nd December for great jazz music from jazz quartet Kathesis with guest vocalist Janie Smith. Coming up at The Swan!